Los Angeles County lifeguards were presented with the Medal of Valor for their bravery in the line of duty. 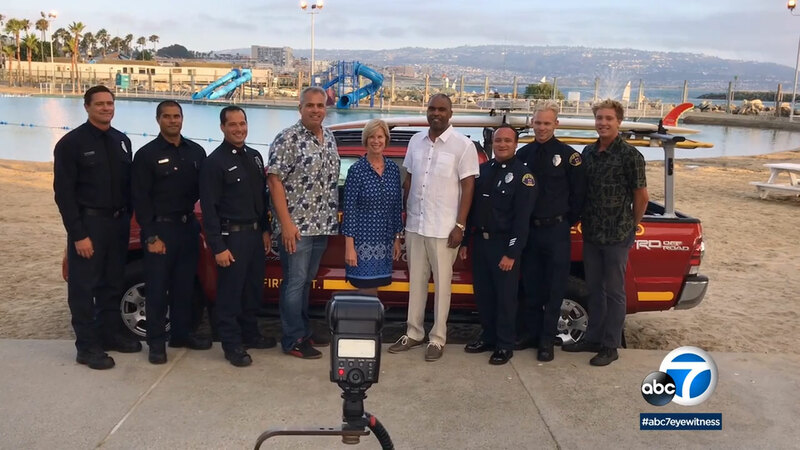 REDONDO BEACH, Calif. -- Los Angeles County Fire Department Ocean Lifeguards were honored for their bravery in the line of duty. It was the 37th Annual Lifeguard Medal of Valor dinner in Redondo Beach. The awards ceremony kicked off the International Surf Festival. Lifeguards Tucker Hopkins and Joe Rickabaugh were awarded Medals of Valor. Distinguished Service Medals were presented to Chris Lallone, Patrick O'Neill, Brandon Chapman, Greg Crum and Ignacio Pagliaro. The Medal of Valor dinner has been sponsored by the Redondo Beach Chamber of Commerce since 1981. The agency employs roughly 900 full-time and part-time lifeguards to patrol 72 miles of coastline. Each year, Los Angeles County Fire Department lifeguards make an estimated 12,000 ocean rescues.